This winter we have been bombarded with countless news reports and articles warning Coloradoans about the harrowing levels of snowpack we are seeing this year. We too are guilty of broadcasting the doom and gloom, but it's because we are also feeling nervous about the amount of water that will be available during the warmer months. We know that our mountains act as storage for our water by collecting feet upon feet of snow that will slowly feed our streams, rivers, lakes, and reservoirs. So, when scientists and reporters are both saying that certain parts of Colorado are averaging at about half or less their usual snowpack levels - that's an issue. The word snowpack is part of every Coloradoans common vocabulary because we pretty much use it as a way to measure the well-being of our state. It determines whether Colorado will have successful seasons in skiing, rafting, fishing, and hunting. Not to mention our ranchers and farmers depend heavily on that snowpack for their livelihoods. Snowpack levels affect almost every outdoor business in Colorado. The message that the "Snow Guardian" clip emphasizes is one of adaptation. It's much harder and practically impossible to just reverse the path we are on and we probably will end up falling down. But, if we do fall, we must land on our butts because falling face first is much harder to get back up from. Collaboration and adaptation are how we will be able to address the changes in our climate and ultimately Colorado's outdoor economy. ﻿﻿ The Snow Guardian from Day's Edge Productions on Vimeo. (Denver)—Gov. John Hickenlooper has received the 2018 River Stewardship Award from Colorado Trout Unlimited, for actions during his terms as Denver mayor and as Colorado governor that led to significant conservation victories for the state’s rivers and streams. The award was presented Thursday evening, March 8th at Colorado TU’s annual River Stewardship gala at Mile High Station in Denver. The Upper Colorado River was another watershed that benefited from Gov. Hickenlooper’s leadership, said Nickum. In decades past, Denver Water had not always seen eye-to-eye with conservationists or with West Slope communities and interest on water diversions and river impacts. “As Mayor, John Hickenlooper appointed a new breed of commissioners to the Water Board—leaders like Tom Gougeon, Penfield Tate, and the late George Beardsley, who encouraged Denver Water to engage with other interests to find cooperative, collaborative solutions – not simply continue the old water fights of the past.” The resulting landmark 2013 Colorado River Cooperative Agreement was groundbreaking and spawned the present Learning by Doing partnership that is meeting water needs while improving the health of the Colorado River watershed. Colorado Trout Unlimited’s River Stewardship Gala is the state’s largest celebration of Colorado’s rivers and world-class fishing opportunities. In 2017, nearly 400 guests helped to raise over $80,000 for Colorado TU’s conservation efforts throughout the state. Funds from the River Stewardship Gala go towards CTU’s work in youth education, protecting statewide instream flows and temperature, reintroducing and protecting native trout, and preserving and restoring the state’s fisheries and their watersheds. A huge thank you to the guests, staff, volunteers, board members, and of course the donors who made the night a great success. Paul Bruchez is a fifth-generation rancher whose family raises cattle in the upper reaches of the Colorado River near Kremmling, Colorado, where he also runs a private fly-fishing guide service. “A River’s Reckoning” tells the story of Paul’s awakening to the importance of river conservation and the legacy of his family’s ranch when drought and urban water diversions deplete the Colorado River, threatening the ranch’s operations. When Art Bruchez, the family patriarch, is diagnosed with cancer, Paul and his younger brother Doug are forced to step in and take over. This “river reckoning” pushes Paul and his family to confront new challenges and embrace new ways of thinking to keep their family’s ranch—and others in the valley—alive and productive. Paul and his brother rise to meet these challenges, working with neighbors, Trout Unlimited, American Rivers and other conservation groups and partners to find creative solutions that enhance their irrigation systems while restoring trout habitat in the river. “A River’s Reckoning” is a beautiful story of family, grit, and legacy, all in support of sustaining a ranch at 10,000 feet that depends heavily on stewardship of the Colorado River. The film was recently honored as an official selection of the 2018 Wild and Scenic Film Festival. Coloradans have a special connection with our headwaters; in many ways we are the headwaters of the nation. For Colorado Trout Unlimited, our members in 24 local chapters across the state engage under the Clean Water Act both as advocates for healthy streams and by filing for and securing permits that allow us to partake in collaborative instream habitat improvement and fish passage projects. 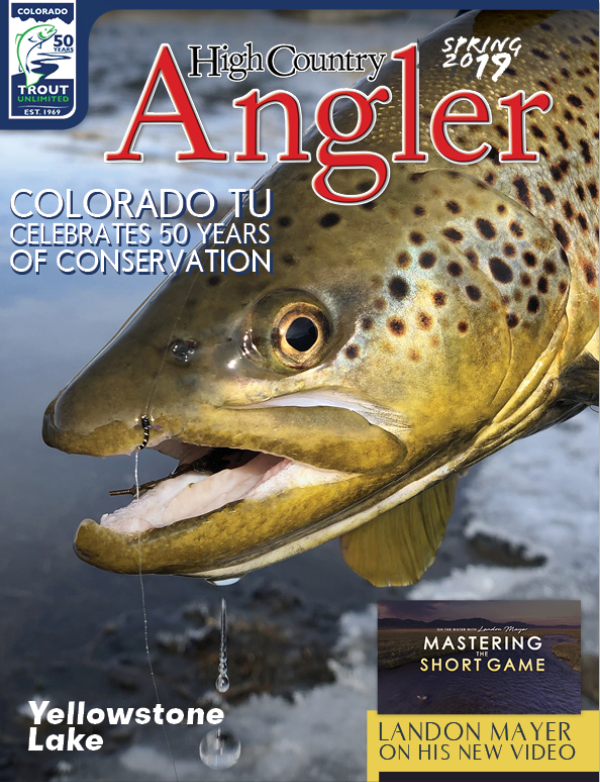 Colorado Trout Unlimited stands with the 2015 Clean Water Rule and we believe it provides a reasonable amount of protection for our coldwater resources and therefore needs to stay intact. America's headwaters are the start of our country's iconic rivers. These waters provide the spawning and rearing habitat for trout, salmon, and other wild and native fish that contribute greatly to the $50 billion recreational fishing industry in the United States. What's more, these streams send clean water downstream, where it is used for our farms and communities. Water is an important resource for all and deserves the protections that keep it clean, flowing, and usable. To make that happen, we need to protect our waterways from their sources: the small, seasonal headwater and feeder streams whose flow makes up our larger perennial rivers downstream. Colorado TU submitted comments to the EPA and Army Corps of Engineers on the scope of the Clean Water Act and why headwater protection is so important. Click here to read the full letter written by David Nickum, Executive Director of Colorado Trout Unlimited. Coloradans turned out in force (and in full voice) for a Clean Water for Colorado rally in downtown Denver on Tuesday, August 22. The event was put together by TU and other conservation groups, as well as local outdoor businesses such as RepYourWater, Confluence Kayaks and Down River Equipment. The rally—right across the street from the regional EPA building—sent a clear, loud message to the EPA and elected officials back in D.C.: Coloradans care about clean water. The rally in Denver was in response to the EPA's proposal to repeal the 2015 Clean Water Rule that clarified that smaller seasonal and headwater streams and wetlands are protected under the original Clean Water Act. While the 2015 Rule has been somewhat controversial in certain water circles, the need to maintain clear, logical protections for our headwater streams and wetlands is straightforward. To protect water quality downstream, you need to start from the source upstream. 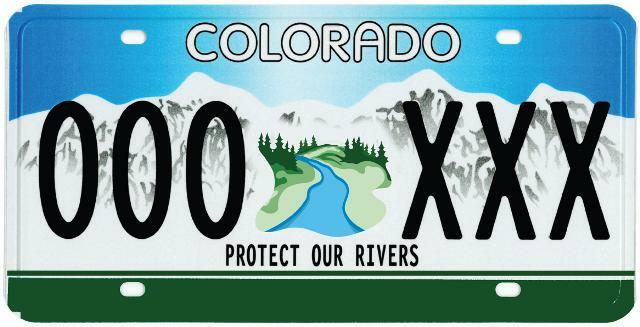 The message from this week's rally was not to simply support the 2015 rule, but to remind politicians and EPA administrators that a significant percentage of Colorado's economy relies on healthy river ecosystems. As such, there is a clear line that can be drawn between clean water and economic benefits. Among the speakers was Corinne Doctor of RepYourWater. Her remarks to the crowd echoed the importance of maintaining healthy streams in order to support the economy on which her business relies. “The Clean Water Rule is essential. We cannot risk having the EPA roll it back," exclaimed Doctor. "That action would result in leaving the majority of the streams, rivers, lakes and wetlands in the lower 48 without protection. We, in the outdoor, and more specifically fishing industry, know that without clean water, we have no business. The sports and hobbies on which our business depends rely on the water to be clean and hospitable habitat for fish and wildlife. For this multi-billion dollar industry, our economy can’t risk that." Even beyond the outdoor industry, this action could take away slated protections for 60 percent of all U.S. streams, 20 million acres of wetlands and waters that contribute to the drinking water for 1 in 3 Americans. “We in Colorado need to be sure our voices are heard," said Doctor. "As a seventh generation native of this great state, I can take the outdoor playground that it provides for granted. But we can’t deny that the booming housing market and incredible job market are due in great part to the outdoor accessibility here." Another iconic Colorado business - craft brewing - lent their support as well. A coalition of Brewers for Clean Water have spoken out for clean water (including Colorado-based breweries Upslope, Odell, Horse & Dragon, Avery, and New Belgium) - submitting formal comments from "Brewers for Clean Water" to the EPA. "Beer is mostly water, so the quality of our source water affects our finished product," they said. "Even small chemical disruptions in our water supply can alter the taste of a brew or influence factors like shelf life and foam pattern ... Protecting clean water is central to our long-term business success." The rally outside EPA was picked up by a number of news agencies this week - including national outlets such as the Public News Service. The large turnout and media coverage shows that Colorado's outdoor industry and local businesses have a strong voice when it comes to environmental issues that affect us at home. "Be sure to make your voice heard, for today and for future generations," exclaimed Doctor. "We care about clean water!" To take a stand for clean water, go to TU's Action Center and raise your voice!